As said before hair and think full hair in particular, makes a statement about health and vitality. Many of us have not been so lucky to be born with the perfect hairline and or have thinning spots where our hair kind of exudes thinness. With microblading hairlines you can inches or fill in spots that look sparse and no one will know the difference because of how natural the end result looks. You will appear just like you have been taking all those vitamins and now they are working. Who Should Get Their Hairline Micro Bladed? For anyone who thinks his or her hairline needs microblading than it is probably a good option. For a natural way to conceal a receding hairline, or reshape an uneven hairline or even help blend in bald spots with the rest of the hair microblading does an outstandingly convincing job of representing natural hair growth. Dependent on some skin types those who have very oily skin who perspire a lot microblading may not be the best option. When calling I-Brauhaus NYC speaking to a consultant will be your best option to decide if it the right option for you. How Long Does Microblading The Hairline Last For? Customized to your hair color the mini strokes of ink blended in to your natural hairline achieve a look of a fuller hairline almost instantaneously. As microblading is a type of cosmetic tattoo where the ink strokes go into the skin the results have longevity. If you were to get your hairline microbladed the results would last up to one year or three years. The difference in microblading lasting one year or three is dependent on a couple things like skin type. The result of microblading lasts much longer than any other temporary coloring in one can do for their hairline. What Kind Of Upkeep Is Needed For The Hairline? Virtually none. Forget fillers or sprays that come off in the shower. Once you get your microblading done for the hairline you are ready to go. Microblading is a permanent procedure. As it is a cosmetic tattoo the micro strokes of ink go into the skin. With our highly qualified team of professionals your microblading for the hairline experience will also come with a fast recovery. The days after the application will require some healing but our team will guide you through it. 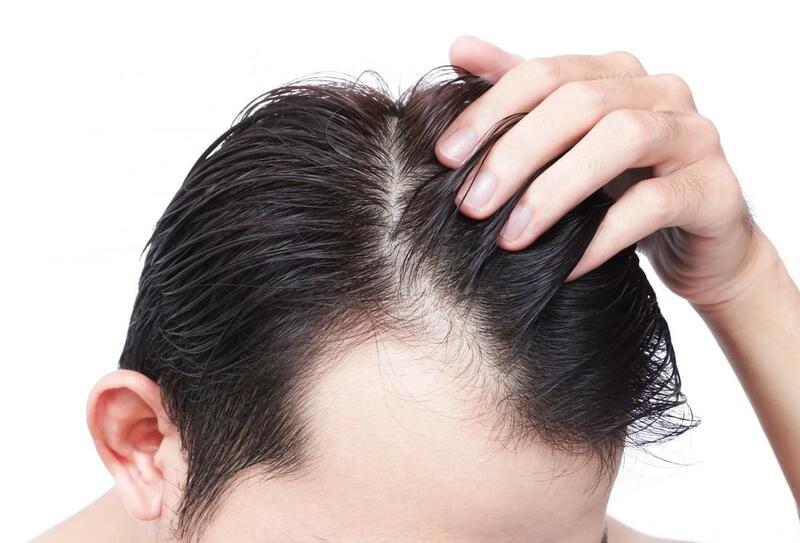 Once the initial healing has finished the upkeep for the hairline is absolutely minimal. Depending on your skin type this application lasts from one year to three. With our professionals artistic approach to microblading getting microblading on your hairline will be like you went back in time. Whether it is to even out a hairline, or fill in a receding one, thicker fuller hair always makes for a more youthful appearance. As if you went to bed and woke up from a night in the fountain of youth our results will make you smile and everyone else wonder how you did it. Our expertise with microbalding creates such a natural appearance of increased hair volume the resemblance is undeniably realistic. The fine strokes of ink will be completely indistinguishable from your own hair.